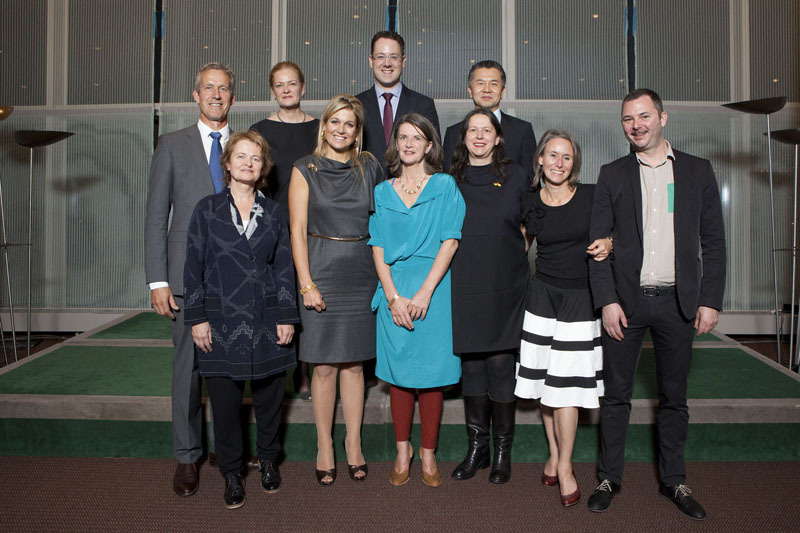 Photo: top row: Jan Tichelaar / Royal Tichelaar Makkum - Edith van Berkel / Jongeriuslab - Daniël Schiffelers van Royal HaskoningDHV - Ming-Feng Ku / Dutch Ministry of Foreign Affairs // front row: Louise Schouwenberg - Queen Máxima of the NL - Hella Jongerius - Irma Boom - Saskia Simon / OMA, Gabriel Lester. 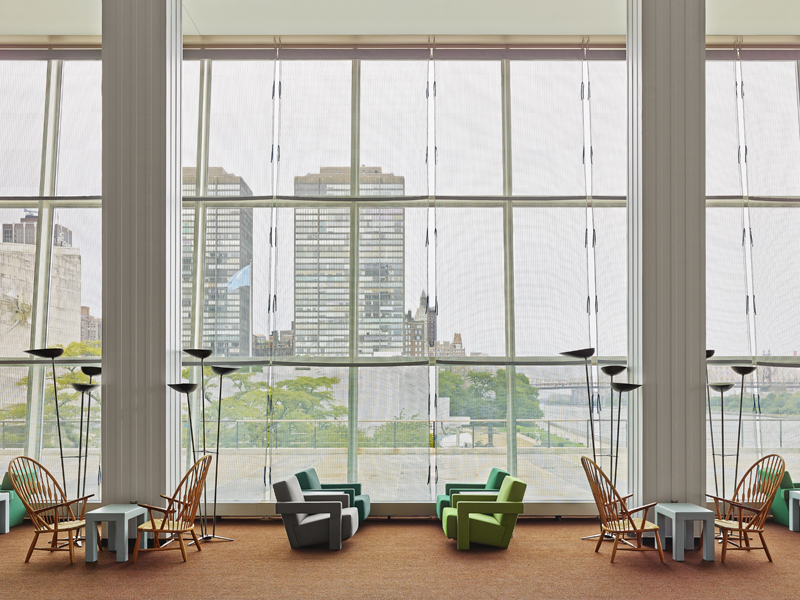 Their aim was to create a space of both comfort and professional informality. 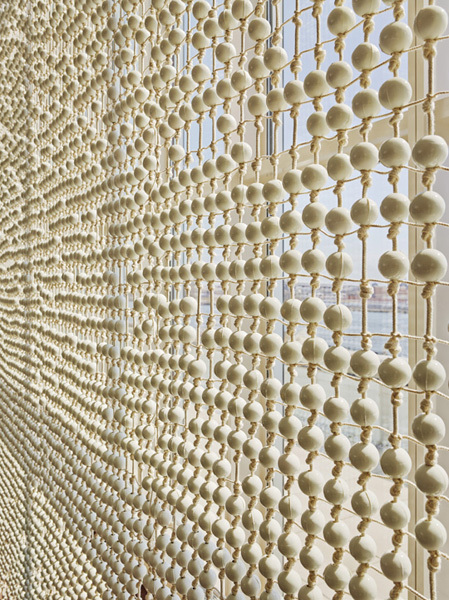 The team carefully edited the history of the space, retaining some of the iconic Scandinavian designs and creating a new perspective on the works of art already on display. 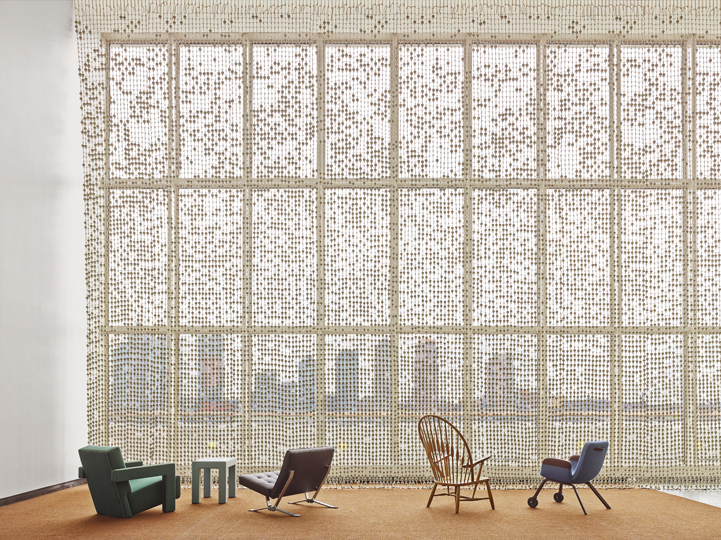 They removed the mezzanine that had blocked the view of the East River, restoring the open architectural space. 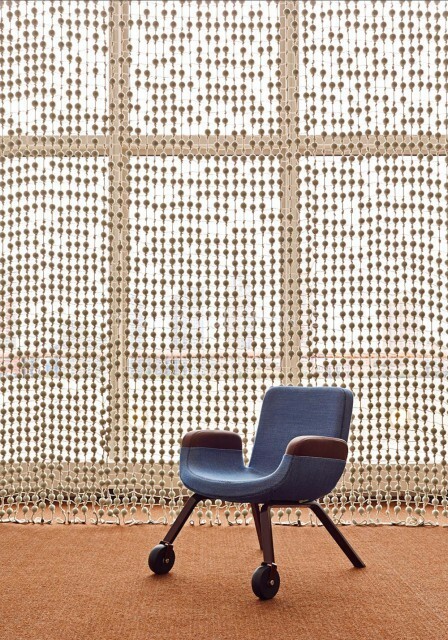 Jongerius designed two new pieces of furniture for the lounge: the Sphere Table and the UN Lounge Chair, produced by Vitra. 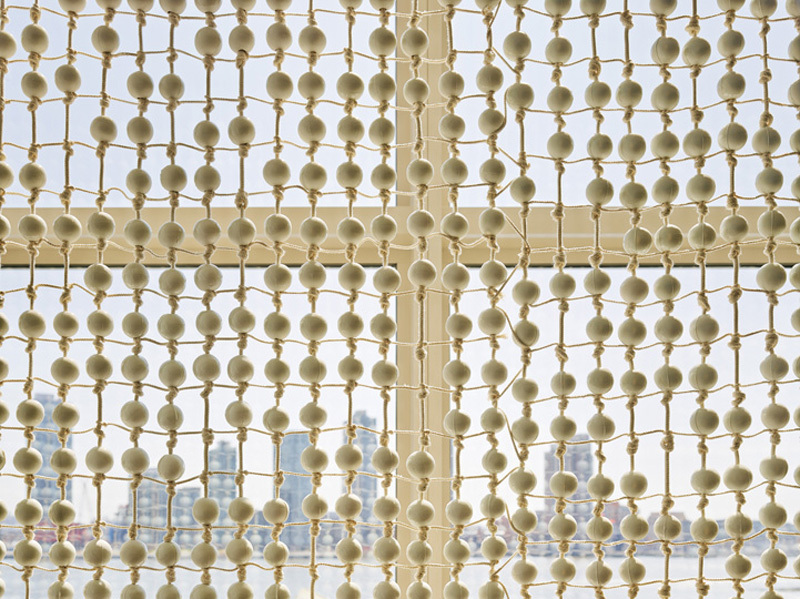 For the East Facade Jongerius designed the Knots & Beads Curtain, with hand-knotted yarn and 30,000 porcelain beads made from Dutch clay by Royal Tichelaar Makkum. 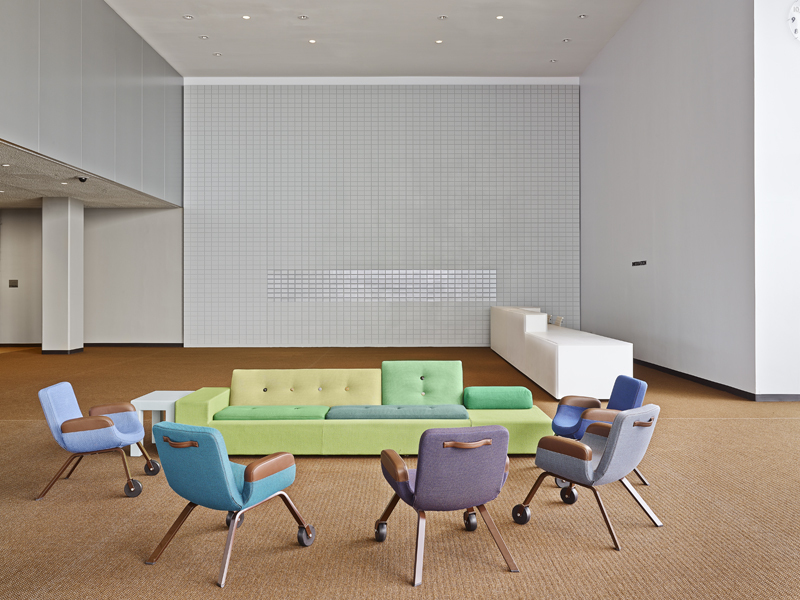 Jongerius was also responsible for revitalizing the colour palette, selecting the furniture and designing the cradle-to-cradle Grid Carpet. 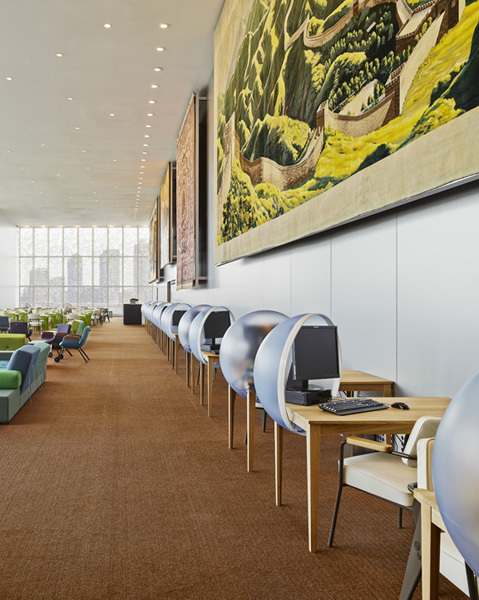 The UN buildings in New York date from 1951, six years after the foundation of the UN. 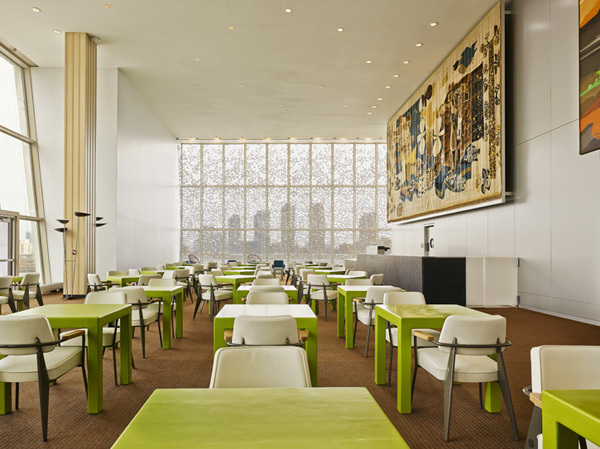 Referred to as ‘A Workshop for Peace’, the complex was designed by a team of architects including Le Corbusier, Oscar Niemeyer and Wallace K. Harrison. 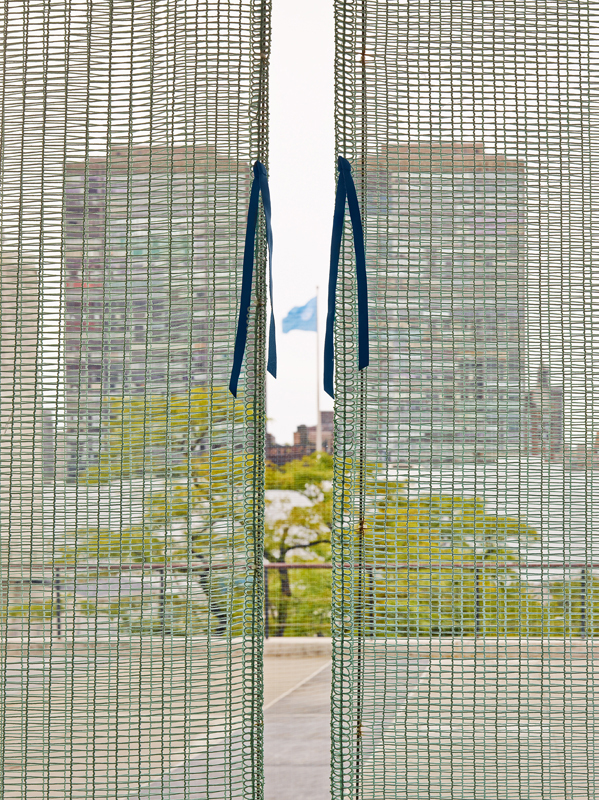 In 2009, the UN launched a large-scale renovation project, which is now nearly complete. 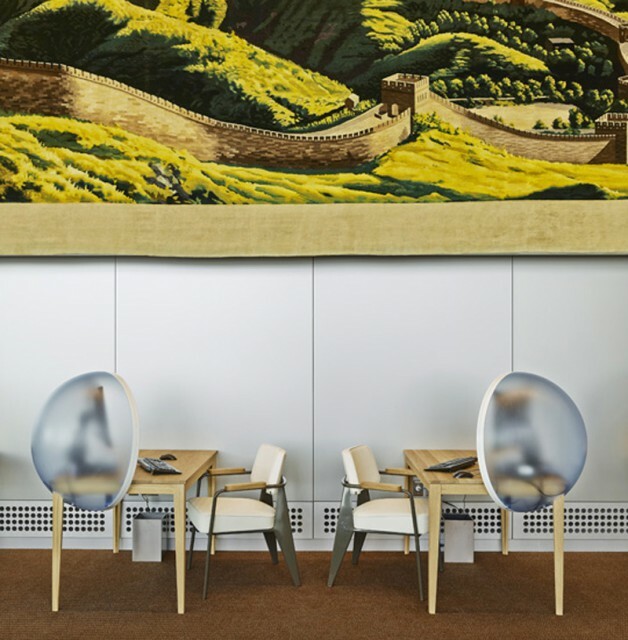 At the request of the Dutch Ministry of Foreign Affairs, Hella Jongerius formed a team to redesign the lounge and bring it into a new era. 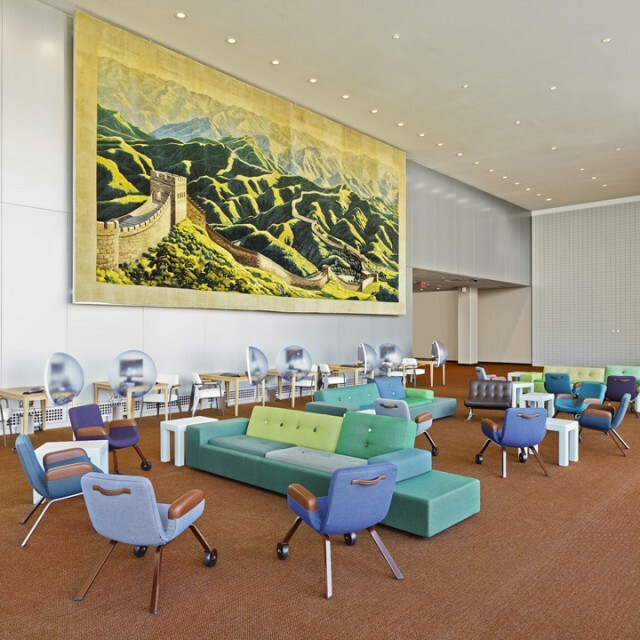 The renovation and redesign of the lounge is a gift from the Netherlands to the UN. 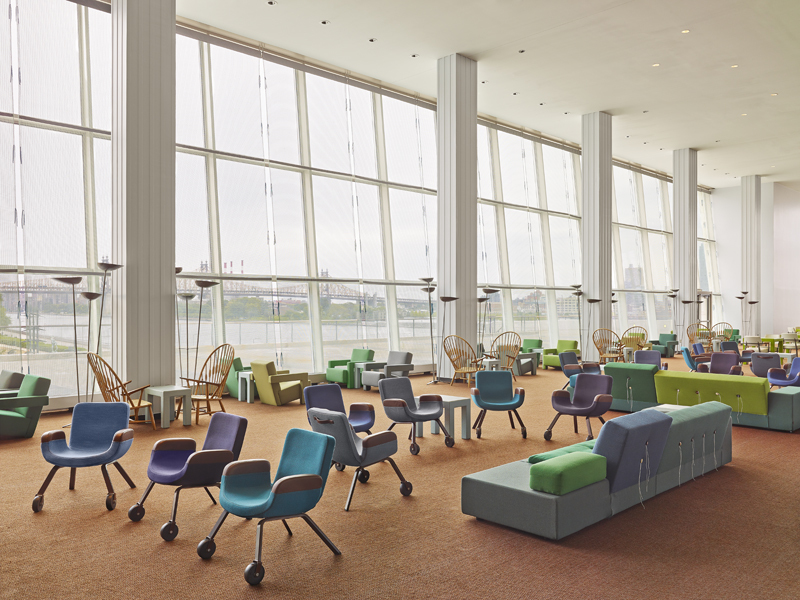 The lounge will be officially opened on September 25, 2013 by Queen Máxima of the Netherlands and the Dutch Minister of Foreign Affairs, Frans Timmermans, in the presence of Ban Ki-moon, Secretary-General of the United Nations.